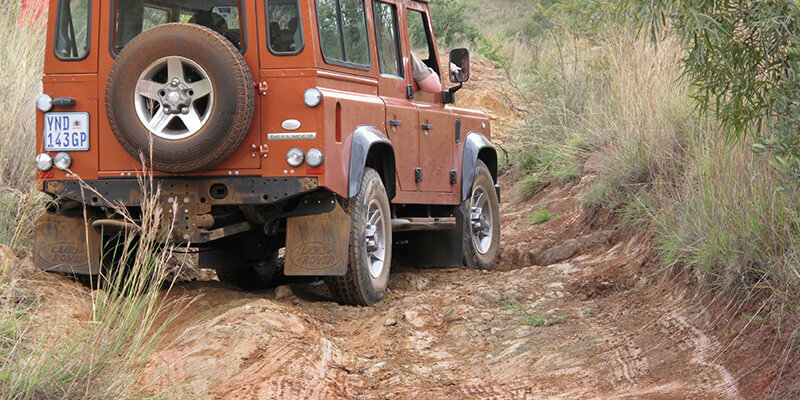 A lot of what I am about to say is common sense to a seasoned off-roader but I find of late that I do not get off-road as often as I used to and consequently need to think a bit harder. That being said practice is critical, if you have not been off-road for a while and are planning a trip then take your vehicle and visit a day trail just to iron out the kinks and familiarise yourself with your vehicle as well as they key techniques such as assessing terrain(reading the line) and the correct momentum for the various situations you may find yourself in. 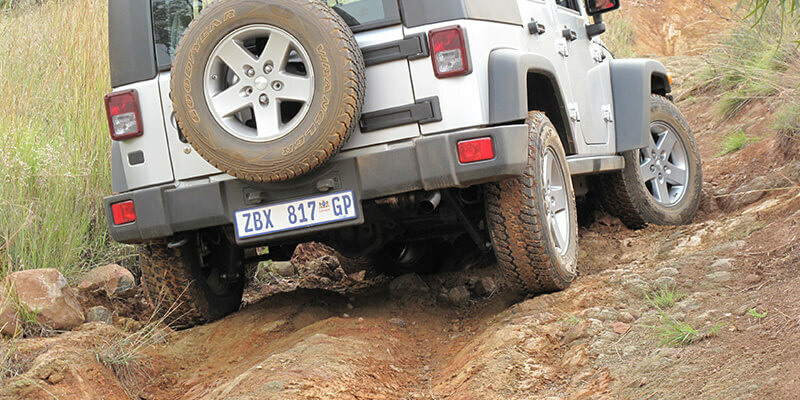 Momentum is crucial when off-road but do not relate it to speed, momentum is a controlled use of speed married to the terrain so as to maintain traction and get through the obstacle smoothly. As they say rather “do it over than overdo it”. Loss of traction and control will simply see you getting stuck or worse still damaging your vehicle. Increasing speed will more than likely result in wheelspin which will see you getting stuck,read the line and look at places where vehicles that have gone before you may have got stuck.The trick is to try and keep all four wheels in contact with the ground at all times. Your approach to and through the obstacle coupled with the correct speed will generally see you safely through,do not however be afraid to pack ruts and holes with rocks to make your passage easier, it’s not a 4×4 challenge and will lessen the risk of damage to your vehicle.The “challenge” when out there on a 4×4 trip is to get yourself and the family home safely! A breakdown could be time consuming and costly! 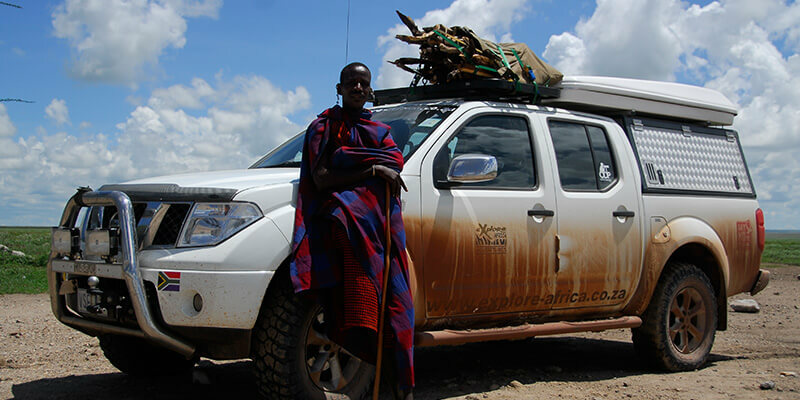 And add to that the fact that it is generally good practice to travel with a few vehicles as a group unless you are in an area where assistance is readily accessible –bear in mind the lack of a cell signal in more remote spots. 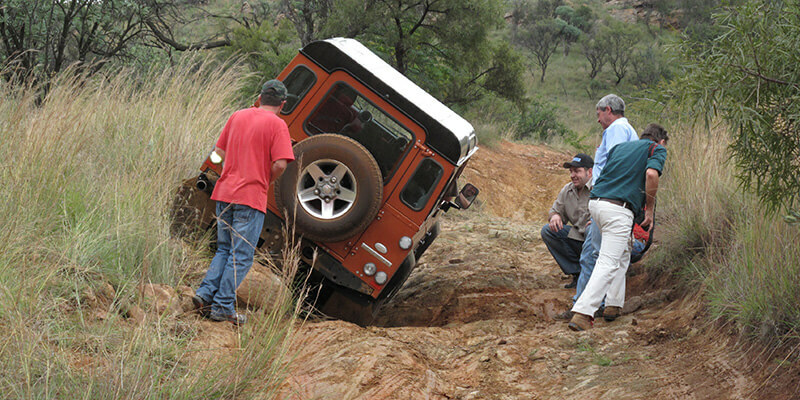 Remember to engage 4WD as you leave the tar,assess the need for high or low range and use your differential lock when necessary,remembering to disengage it once you clear the obstacle. •	Walk the obstacle if you are unsure of it,don’t go blind as you never know what is around the corner or over a rise. •	Maintain traction by reading the line and choosing the path of least resistance. •	As slow as possible,as fast as necessary (momentum)- balanced use of the accelerator. •	Ascertain the depth of any water crossing. •	Check the flow of a river before entering it. •	Ensure that you have no loose items that could fly around in your vehicle as well as luggage areas. •	Have recovery gear close at hand. •	Have a fire extinguisher and first aid kit in the vehicle. •	Always have sufficient snacks and water , even if your camp is close by an emergency could see you needing food and water until help arrives. Get out and enjoy yourself, attend a training course as well as a recovery course,many things change over time so it’s a worthwhile investment.